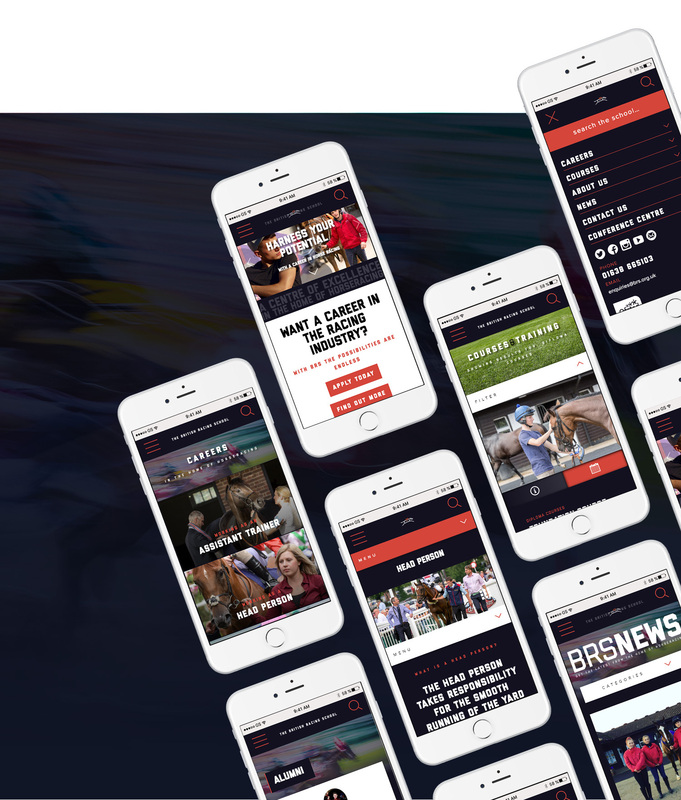 After several weeks in production, this week saw the launch of our new website for The British Racing School. 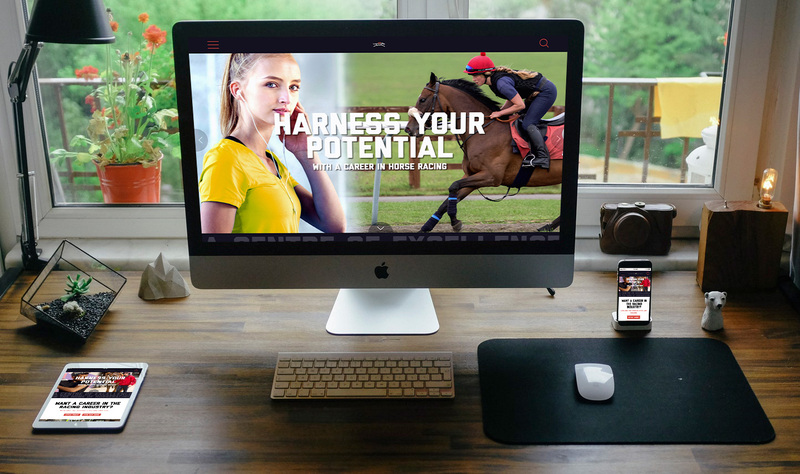 Based in Newmarket, the school is the premier training centre in the country for the horseracing industry. It runs a wide range of courses that encompass everything from half-day bitesize training sessions to Management Courses aimed at Trainers who are at the top of their field. They have a fantastic reputation for introducing young people into the industry through high-quality apprenticeships and work with school children, and have just been rated ‘Outstanding’ by Ofsted. 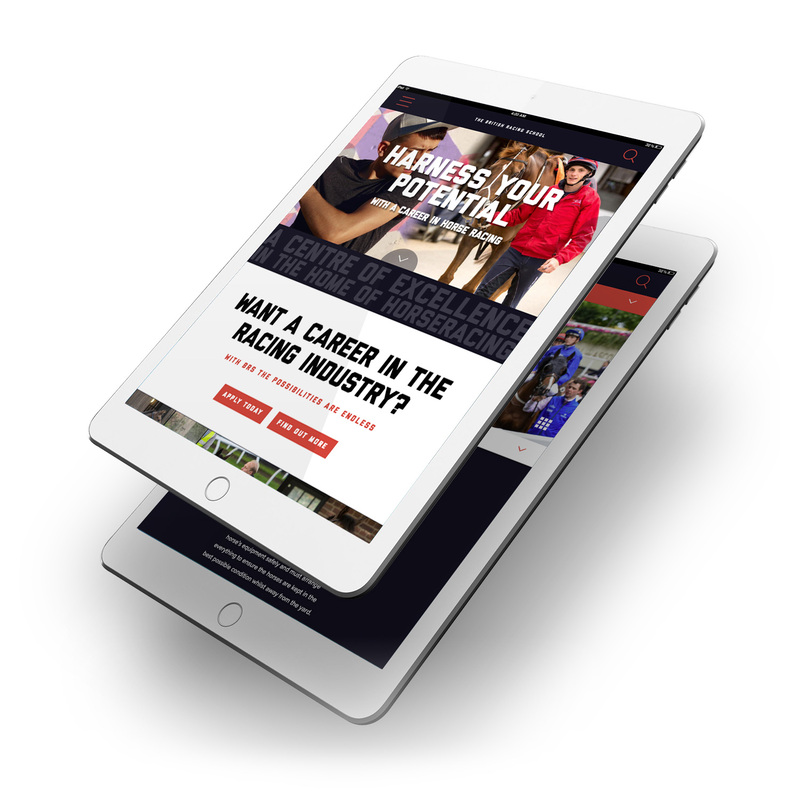 Our brief was to create a site that looked good and appealed to their target audience, but was also easily navigable. One of the problems with their old site was that people felt it was too hard to find what they were looking for, so our design resolved this issue. We completely revamped the courses section – one of the most important sections of the site – so it was easily filterable, and all the relevant information was in one place. And of course, the whole site has been designed with mobile in mind, reflecting how the majority of visitors will use it.